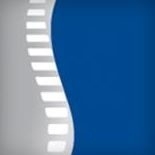 North American Spine Foundation is a non-profit organization established to end spine-related disability through research, education and advocacy. The North American Spine Foundation is dedicated to addressing the #1 cause of suffering worldwide: spine-related disability. Our vision is to end spine-related disability. Our mission is to sponsor research, education, and advocacy to end spine-related disability. Research that reveals innovative ways to reduce and prevent spine-related disability. Education to build global awareness. Advocacy to influence policy changes that help to reduce and prevent spine-related disability.